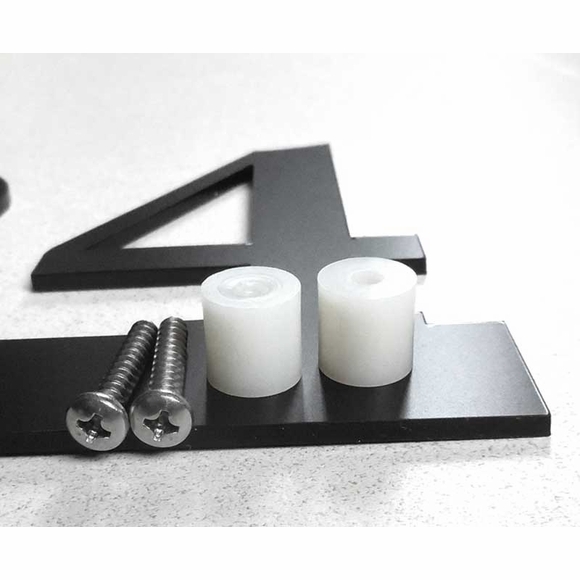 Floating Sign Standoffs - - nylon standoffs that support your sign, floating address plaque, or large individual house number 1/2" above the surface it is mounted on. Standoffs lend an impressive 3D appearance to your sign and highlight the background. Sized to support your sign a full half-inch above the surface it is mounted on. Standoff has a center hole that is contoured for the supplied long stainless steel Phillips head screw. You need one standoff for each sign mounting hole. Examples of standoff-ready floating address signs are shown in Related Products.